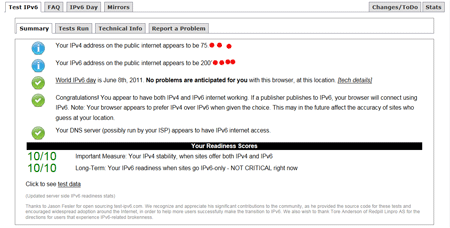 What I find puzzling is that the external site they are mirroring testipv6.com only gives me a 7/10 score. 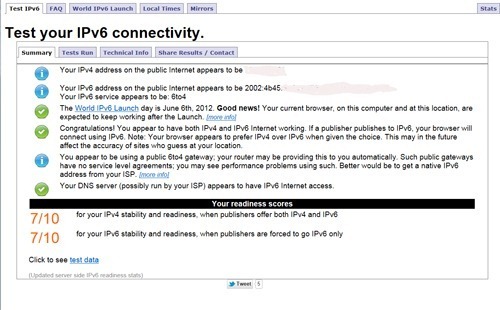 World IPv6 Day June 8, 2011; I’m Ready! Looks like I’m completely ready, how about you? 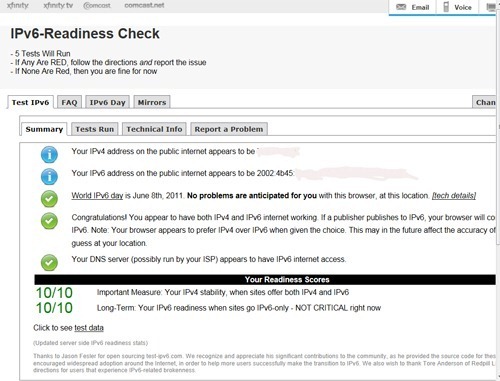 I’m currently using Comcast’s 6to4 gateway.